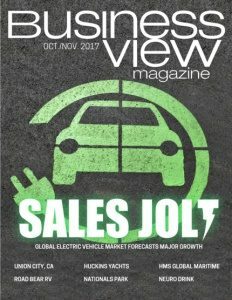 Business View Magazine interviews Jim Elliott, President of the American Salvage Association, as part of our focus on the maritime sector. It’s an unwritten law of the seas that all vessels have a duty to give reasonable assistance to other ships in distress in order to save life – but they are under no obligation to salve or save the vessel. For millennia, that activity has been left to the salvors – the seamen, workers, and engineers who recover a ship and/or its cargo after a shipwreck or other maritime casualty. A rough estimate suggests that, currently, there are about three million shipwrecks littering the planet’s ocean floor – everything from 10,000-year-old dugout canoes, to history’s many commerce and war vessels, to today’s largest, ocean-going container ships. The laws of salvage, however, have been codified in many different places over the centuries, based on the concept that a person who recovers another person’s ship or cargo after peril or loss at sea is entitled to a reward commensurate with the value of the property so saved, or the property, itself. Indeed, salving for profit has, at times, been a lucrative industry. For example, between 1828 and the 1850s, Key West, Florida was considered the richest city, per capita, in the United States, mostly because of the treacherous reefs just seven miles off its shores. There were wrecks aplenty, many with valuable cargo in their holds. So, salving was the town’s primary business; storehouses and chandleries abounded, and people came from all over to bid on the valuable salvaged items. Today, modern salving has expanded its mandate from simply recovering sunken goods for resale, to include firefighting at sea, towing vessels for their eventual repair, clearing channels for navigation, and aiming to prevent pollution or damage to the marine environment. Most salvage is carried out by specialist salvage firms with dedicated crews and equipment, including sophisticated diving apparatus, cranes, floating dry docks, and tugboats. 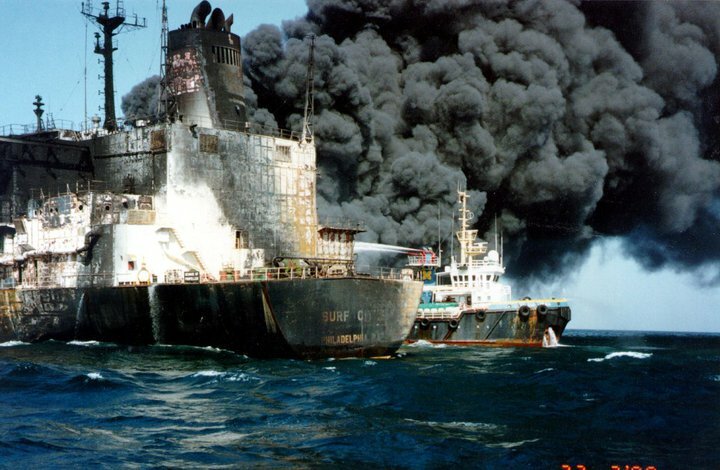 The Coast Guard’s new OPA-90 Salvage and Marine Firefighting regulations were finally promulgated in 2008. They clarify the salvage and marine firefighting services that must be identified in vessel response plans, and set up new response time requirements for each of the required salvage and marine firefighting services. “In the U.S., every vessel over 400 gross tons needs to have a vessel response plan,” Elliott explains. “On that vessel response plan, it names a salvage and marine firefighter service provider. And so, when there’s a vessel in distress, the primary concern is the safety of all life, minimizing the effect to the environment, and then saving the ship and preventing things from getting worse. The Coast Guard, which is there first for search and rescue, works with the ship owner to activate the vessel response plan, so that we can immediately respond. “In the regulations, there are specific timelines. For example, within one hour, if you’re notified, you do a remote assessment, you begin communicating with the ship, understand its nature of distress. We can then respond with salvage tugs, divers, marine firefighters, salvage masters; we can have our naval architects looking at the drawings of the ship, so we can understand what’s going on with its stability and to create a plan to solve the problem. 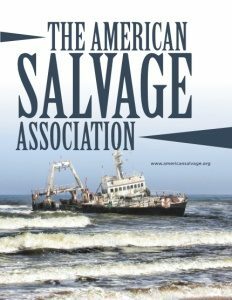 The Association also recently expanded its membership beyond the U.S. to include organizations in all of North, Central, and South America, and the Caribbean, and it is currently working with the Organization of American States (OAS) to initiate a similar study of wrecks in the waters of the Caribbean Sea. “And there have been discussions to do a similar project on risk assessment in Canadian waters, because there are some existing wrecks there that continue to cause environmental issues,” Elliott adds.